You can join our program in Denver and have an authentic U.S. university experience for a short-term course or in preparation for a university degree. Our Academic English Program is offered at our language center in Denver and on campus at several of our partner universities. This program is specifically designed to help students prepare and succeed at U.S. universities. Our theme-based curriculum uses authentic materials and includes activities such as debates, essays and presentations. Students can also apply for conditional admission to our partner institutions and receive a TOEFL waiver upon graduation from our program. Our Academic English Program is perfect for students who want an intensive program. Students from all over the world study with Bridge to have an unforgettable experience as they improve their English skills through social and cultural immersion. Whether it is in preparation for a graduate or undergraduate degree, or a short-term ESL program, our teaching methodology and student-centered approach will help you reach your linguistic goals and enjoy your time in the U.S.
Students seeking to study at a U.S. university can work with our advisors to obtain conditional admission. Even if your English is not perfect yet, you can apply to a university and obtain an admissions decision. We can help you sort through our university partners and their programs so you find the best degree for your interest, needs and budget. Upon graduation from our Academic English program, you will be granted a TOEFL waiver to our partner universities all over the U.S. 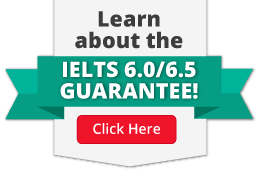 This way, you can focus on your learning goals and save time and money by not taking a test of English proficiency. Our U.S. university partners offer competitive scholarships for qualified international students that can cover up to 50% of tuition costs. There is no additional paperwork or applications to be eligible, they are merit-based and you are considered automatically when you apply. Most of them are renewable as long as you maintain your grades and are in good standing with the university. The BridgePathways Academic English program is a comprehensive, in-depth course designed to help you succeed in the U.S. university classroom. As a student in our BridgePathways Academic English program, you'll acquire the necessary English language skills to succeed in an academic environment. Our curriculum is designed to help you develop your English proficiency in the four communicative skills— reading, writing, speaking, and listening— while strengthening your study skills and strategies. You'll learn quickly from the communicative and student-centered approach in all of our classes. You'll be expected to actively participate in activities, discussions, and projects. We encourage our students to constantly practice English while undertaking various academic tasks. As a BridgePathways student, you'll participate in essential social and cultural immersion experiences to help you become comfortable with living and actively participating in U.S. campus and community environments. You'll study a different theme each week. Themes are related to common areas of undergraduate study and will unify all of your classes. This thematic approach allows you to develop both linguistic skills and content knowledge. To maximize your learning experience, we have an English-only policy both in and out of class. We ask that students from the same language background try their best to communicate only in English. You'll work with a curriculum that includes a combination of materials from National Geographic™ and other sources written for native English speakers. By using such materials, you'll be able to develop an understanding of authentic oral and written communication. In addition to helping you achieve your linguistic goals, we will also help you to develop critical thinking and analysis skills. These important skills are an integral part of our curriculum. You'll prepare specifically for the work you'll be doing in college with the tasks we assign. You'll be participating in discussions and debates, giving formal and informal presentations, conducting research, writing source-based essays, and listening to lectures. Our teaching methodology encourages students to become autonomous learners and to think independently.Learning how to learn is one of the most important skills you will need when pursuing your degree at a U.S. university. BridgePathways uses the Common European Framework of Reference (CEFR) when determining English proficiency levels. Class sessions are delivered from 08:15 am to 02:15 pm, Monday through Thursday. On Fridays, class is from 09:00 am to 12:00pm.